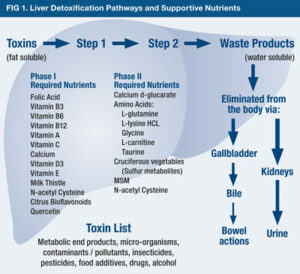 The body detoxifies in 2 phases and good nutrition is essential for ridding of these wastes. I work with clients to support these processes by making sure they are getting enough of these nutrients through diet and if needed, targeted supplements. 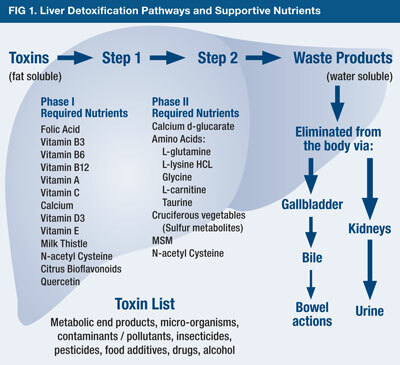 This diagram (enlarged below) is a great summary of the detoxification process and where the various nutrients are needed. 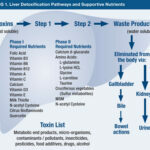 Detoxification of metabolic end products, micro-organisms, environmental chemicals, food additives, drugs and alcohol is essential for good health.